Utility which was established under section 3(I) of Cap. 272 of 1997 as reviewed by section 60 of Water supply and Sanitation Act No. 12 of 2009. 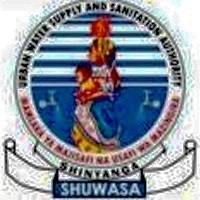 SHUWASA is charged with the overall responsibility of operations and management of portable clean water supply and sanitation services in Shinyanga Urban areas within the Municipality. SHUWASA performs its duties under the pilot and supervision of the Executive Board of Directors with functions and responsibilities well stipulated in the Water Works Ordinance and Memorandum of Understanding (MoU). The successful candidate will be reporting to the Zone Supervisor and will be responsible to all matters related to billing, leakage controlling and meter management. Taking reasonable steps in collecting and controlling all revenue to the Authority. Ensuring that the daily, weekly, monthly and annually collection targets are met. Maintaining meter reading records according to standard procedures. Documentation of all water customers within the Zone. Perform any other duties related to the position as may be assigned by the supervisor. 1. Form IV/VI Leaver/Diploma in Business Administration, with possession two years working experience in water sales operations and water meters managements. Possession of a Class A driving License will be an added advantage. 2. Experience in meter Reading and Leakage Control. The successful candidate will be reporting to planning and Construction Engineer and will be responsible to all matters related to Water network construction. 1. 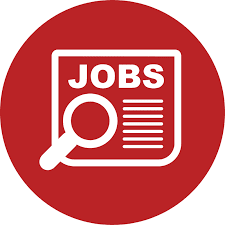 The holder of this position must have a Technician Certificate in Civil/Water Resources Engineering with relevant experience and good command of AutoCAD and GIS Tools. Three (3) years working experience in water production and distribution works. 2. Candidate must have two years working experience in water and sewerage infrastructures. 3. Age Limit not above 40 years. The successful candidates will work in Technical Department under water supply section where s/he will be responsible for water distribution works. Documentation of all water customers within prescribed Zone. Repair of all water leakages as they occur. Finding out the causes of water loss and make necessary rectification. Ensuring that new customers get water connections as scheduled. Monitoring and reporting unauthorized water connections. Timely reporting of water distribution faults. Water disconnection for water debtors. Timely re connections of water to debtors who settle their bills. Timely attend to customer’s complaints regarding lack of water. Flushing regularly water distribution lines to remove stagnant water and other sediments. Ensuring that water in the distribution system is not contaminated from customer service lines. Performing any other duties as may be assigned by the supervisor. 1. Holder of Form IV/VI with Level III (Grade Test I) Certificate in Water Resources/ Sanitary/Civil Engineering from recognized Technical College. Receive and inspect all incoming materials and reconcile with purchase order, processes and distribute documentations with purchase order reports, discrepancies on order received. The successful candidate will be reporting to the Lab Technician Supervisor and will be responsible to all matters related to Water Quality Management. Perform any other duties as may be assigned by the Laboratory Technician Supervisor. 4. Holder of Form IV with FTC /Diploma in Laboratory from a Government recognise technical college. 5. Candidate must have two years working experience in laboratory works in water and sewerage quality assessment. Please indicate on the envelope the position applied for. Only candidates meeting the minimum requirements will be contacted. If you have not heard from us within three weeks after the closing date, kindly assume that your application was not successful.